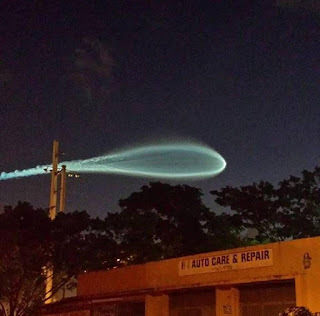 Residents from the Palm Beaches to the Keys snapped pictures of the white light with what looked like a twin billowing smoke plumes behind it. A UFO? 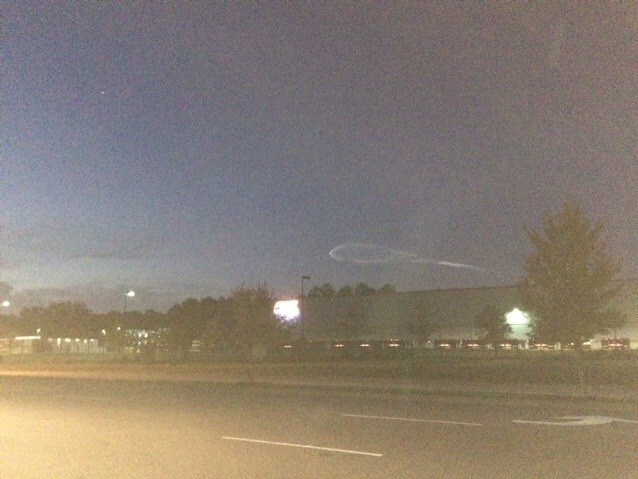 A comet? 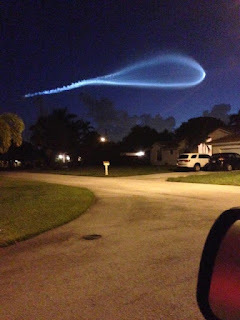 A strange visitor from another planet? Nope to all of the above. It was a rocket. The United Launch Alliance Atlas 5 rocket blasted off from the Cape Canaveral Air Force Station just before dawn. On board was a U.S. Navy communications satellite. “Built by Lockheed Martin, this U.S. military spacecraft will provide narrowband tactical communications designed to significantly improve ground communications for U.S. forces on the move,” according to SpaceFlightNow.com. Meteorologist Craig Setzer says the rocket was highly visible because the sun was hitting the rocket exhaust above the horizon while we were still in darkness before sunrise.